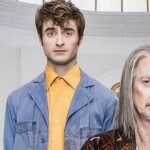 Weekly Round-Up: Trailers for Daniel Radcliffe, Rupert Grint, and Jude Law, an Epic Transformation for Kenneth Branagh, Golden Globes Nominations and Maggie Smith in Sister Act 3? This week at Leaky our Crimes of Grindelwald spoiler lockdown finally came to a close and we posed 25 of our most burning questions about the film, including the truth about Aurelius Dumbledore’s identity, the implications of a Blood Pact, as well as ten parallels between Harry Potter and Fantastic Beasts. Pottermore shared some new interviews with the Fantastic Beasts cast and producer David Heyman, and we summed up the Crimes of Grindelwald box office results since the premiere. In an effort that would make Newt Scamander proud, the Protego Foundation launched their Find Dougal campaign to help save chimpanzees and promote awareness of their plight worldwide and Hogwarts Mystery players are decking the halls of Hogwarts for Christmas! We’ve got big news this week from the Harry Potter and Fantastic Beast actors. Two thirds of the Golden Trio have new trailers for their upcoming TV series, award season is in full swing and Wizarding World cast and creative have been recognized. The second trailer for Captain Marvel was released soon after Jude Law’s character was leaked, Kenneth Branagh’s unbelievable transformation into William Shakespeare is revealed in a new film preview, a voice over project for two Potter alums, and Dan Fogler’s final 4DxPerience podcast of the season. Miracle Workers is a seven-episode series based on the book What in God’s Name by Simon Rich. 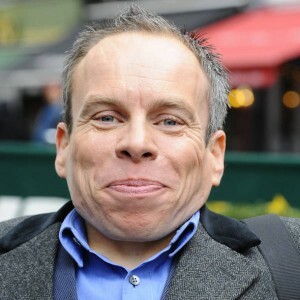 Both stars of the comedy also executive produce along with Saturday Night Live icon Lorne Michaels, so we’re betting we won’t need a laugh-inducing potion for this one. Take a sneak peek of Daniel Radcliffe in his new series below. Miracle Workers will air on TBS Tuesdays at 10:30pm beginning February 12. UK Harry Potter fans have a Christmas gift in store almost as magical as one of Mrs. Weasley’s Christmas jumpers when Rupert Grint appears in the upcoming BBC adaptation of Agatha Christie’s The ABC Murders. Grint stars opposite John Malkovich’s detective Hercules Poirot as Poirot skeptic Inspector Crome. The ABC Murders, which also stars Shirley Henderson who played Moaning Myrtle in the Potter films, airs December 26, Boxing Day, for three consecutive nights at 9pm on BBC One. Unfortunately US fans will have to wait for a release date to be announced on Amazon. Below is Rupert Grint in the first preview for The ABC Murders. He definitely does great job of making us forget he’s Ron Weasley–we love the arched eyebrow-take a look! Marvel fans are getting ready for the next installment from their beloved superhero universe, Captain Marvel starring Brie Larson in the title role a.k.a. Carol Danvers, an ex-U.S. Air Force fighter pilot and member of Starforce, an elite military unit from an alien race called Kree. Jude Law, Fantastic Beasts Albus Dumbledore, has been presumed to play Danvers’ mentor Mar-Vell, but a few days ahead of the films second trailer release some eagle-eyed fans spotted a Funko Pop! wearing Law’s turquoise Captain Marvel costume seen in the first preview. The Pop! is not a likeness of the great Mar-Vell, but of Yon Rogg, a Kree military commander who monitors the happenings on Earth. Based on the new look at the film below, it seems like the secret’s officially popped! Captain Marvel opens in theaters March 8, 2019. 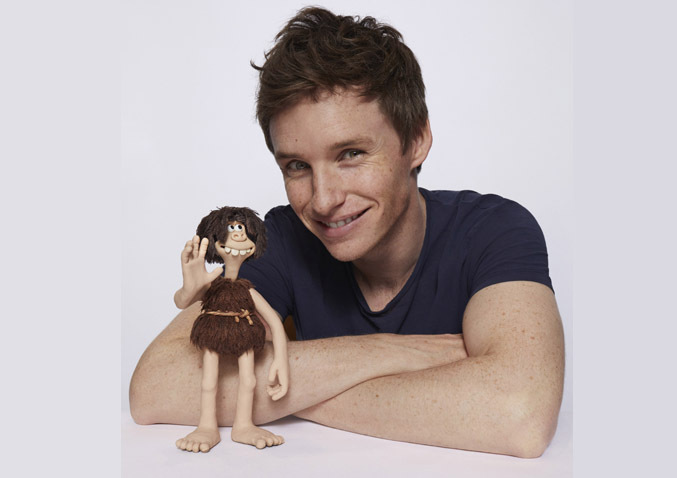 Wizarding World fans are used to seeing Eddie Redmayne in his coat and Hufflepuff scarf as Fantastic Beasts magizoologist Newt Scamander, but did you know he voiced the main character caveman Dug in the 2018 stop-motion animated comedy Early Man? 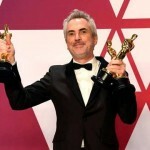 The International Animated Film Association, which recognizes excellence in animation in film and television, revealed their picks earlier this week for this year’s Annie Awards and Redmayne has been nominated for Best Voice Acting in an Animated Feature Production. Early Man was also nominated for Best Animated Feature, Animated Effects, and Character Animation in a Feature. 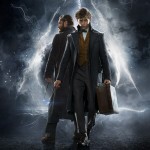 Other Wizarding World-related nominees include Mary Poppins Returns with Julie Walters, Harry Potter’s Molly Weasley, up for several awards including Best Animated Special Production and Character Animation in a Live Action Production, a category which also includes Paddington 2 from Harry Potter and Fantastic Beasts producer David Heyman. The animated comedy series Big Mouth with David Thewlis Harry Potter’s Remus Lupin is up for Best Writing for an Animated Television/Broadcast Production. Congratulation to all the 2018 Annie Award Nominees! Kenneth Branagh, Harry Potter’s Professor Gilderoy Lockhart, is unrecognizable in his next role as the Bard himself in the upcoming drama All is True, about period near the end of Shakespeare’s life about which little is known. See EW for the full interview with Kenneth Branagh and take a look at his amazing transformation in the trailer for the film below. All is True will open in Los Angeles on December 21 with a wider release in 2019. Nominations for the 76th Annual Golden Globe Awards were announced on Thursday in Los Angeles and as usual there are some familiar Wizarding World names on the list. 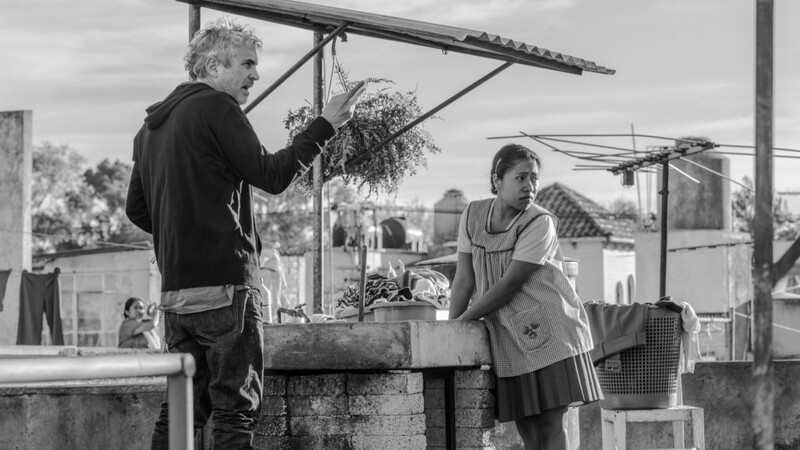 Accolades continue to roll in for Alfonso Cuarón’s autobiographical drama Roma, which has already scored numerous film critic and festival wins. 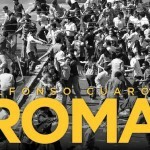 Cuarón, who directed Harry Potter and the Prisoner of Azkaban, is nominated for Best Director and Screenplay and his film gets a nod for Best Foreign Film. Also getting Golden Globe nominations this year are Deathly Hallows composer Alexandre Desplat for the score of the animated sci-fi comedy Isle of Dogs and Best Actor in a Limited Series for Darren Criss for his role as serial killer Andrew Cunanan in FX’s The Assassination of Gianni Versace: American Crime Story. Criss who co-founded Starkid Productions, the musical theater company that created the Harry Potter parody A Very Potter Musical, earned a Primetime Emmy for the role earlier this year. 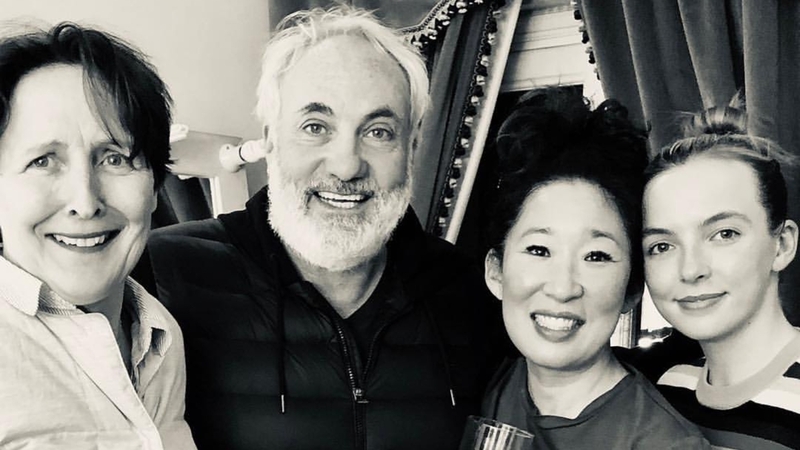 Killing Eve with Fiona Shaw, Harry Potter’s Petunia Dursley, was nominated for Best Drama Series. Congratulations to all the nominees! We can’t wait to hear Molly and Filius together on screen! Master Moley is currently in production. Zoe Kravitz, Fantastic Beasts Leta Lestrange joined Dan Fogler for the last episode of the season of his 4Dxperience podcast. Part one of their discussion which surrounded her family and career, the upcoming Wizarding World holiday album, was released earlier this fall. The latest episode that focuses on Crimes of Grindelwald is definitely loaded with SPOILERS (beware of spoilers below, too!). The veteran and freshman Fantastic Beasts actors began their chat complimenting each other’s performances; it was a true mutual admiration society. They couldn’t discuss Kravitz’s performance without touching on her character’s fateful end ‘toasted” as they say, in Grindelwald’s blue flame. Fogler asked if she would like to appear in future installments as a ghost or in flashbacks, a prospect definitely got us excited! Kravitz said first that her character’s death was a last minute change. We are very curious as to how the plot would have unfolded if Leta would have survived? She also said she would love to come back and is open to all possibilities, but trusts J.K. Rowling with the story. Explaining her character’s sacrifice, she said that Leta was so guilt-ridden during her life that she needed to give of herself like she did in the end to forgive herself. Fogler commented that Crimes of Grindelwald is not only the classic hero’s journey and a battle between good and evil, but also incorporates timely aspects of today’s political climate. The two concurred that Jude Law couldn’t have been cast more perfectly as a young Albus Dumbledore and when Fogler asked Kravitz what she thought of Johnny Depp’s casting she had nothing but good thoughts to share, saying that she has always been a big fan of the actor, and that during their scene together in the amphitheater he was “so kind and engaging”. 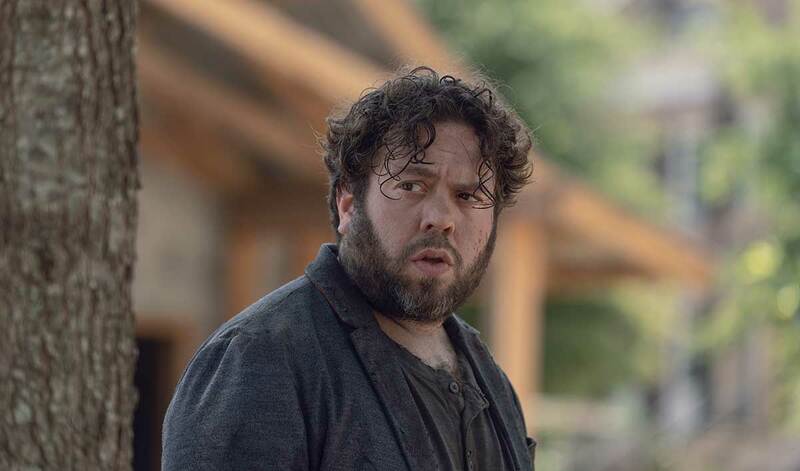 Fogler, who is also busy in TV, hosted his Walking Dead costar Norman Reedus during the second half of his podcast season finale, which will be a holiday treat for fans of the zombie apocalypse series. Fogler also returns as Uncle Marvin in upcoming episodes of the comedy series The Goldbergs beginning this week. The Goldbergs airs on Wednesdays at 8p ET on ABC. Dan Fogler’s 4DxPerience podcast can be heard in its entirety on iTunes. A third instalment of the Sister Act series will be written by Insecure co-executive producer Regina Hicks and Star showrunner Karin Gist, and is upping the pace of development. 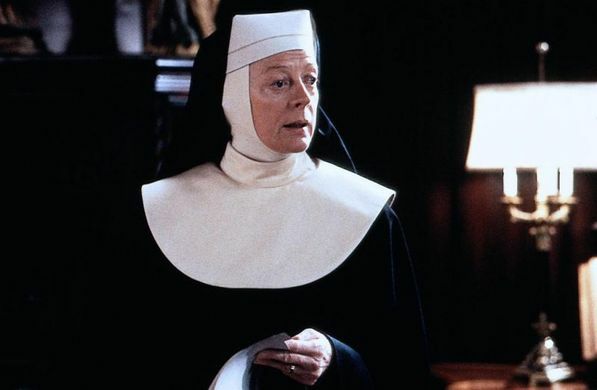 The original film, starred Potter’s Maggie Smith, as well as Whoopi Goldberg and Harvey Keitel, and told the story of a woman in protective custody pretending to be a nun. There’s no word yet on whether Maggie Smith will reappear as Mother Superior in Sister Act 3, but Whoopi Goldberg has reportedly said she’d be happy to return for a cameo in the third instalment, so here’s hoping! We’ll keep you posted on updates, but for now read up on new developments here. That’s some big news from the Harry Potter and Fantastic Beast Actors, but we have no doubt we’ll have more soon. You would think this group each has their own Time Turner they stay so busy! In the meantime, check out the Wizarding World news from the stage in our latest Theater Round-Up. If you’re thinking of seeing Harry Potter and the Cursed Child next year, new blocks of tickets have been released in all of the current locations. Enjoy this magical holiday season and we’ll see you next time!